Described as “possibly the biggest Arab musical event of 2015”, The Mix is set to be a show-stopping finale as well as a veritable journey through a spectrum of music that the Arab world, and beyond, has to offer. 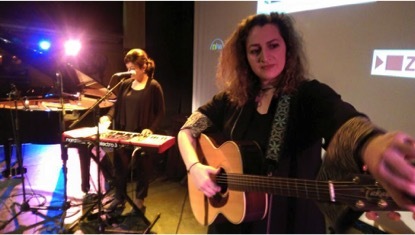 With jazz, rock, electronica, folk and spoken word poetry, each fused with or inspired by traditional Middle Eastern music and heritage, the selection of musical offerings at The Mix is quite dazzling. First up is the acclaimed Egyptian jazz-rock fusion band, Massar Egbari who are returning to London for the first time since their debut in early 2013. The band from Alexandria channel their Egyptian culture into their music through their influence of classic Egyptian and Oriental music as well as by addressing social issues within their songs. 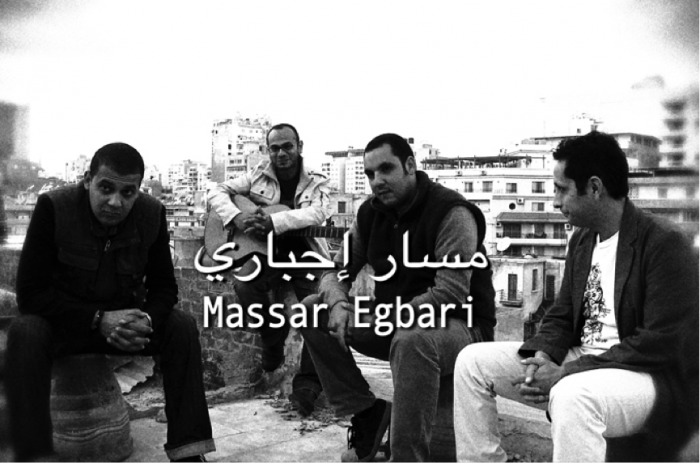 Their name is also a reflection of these social concerns – “Massar Egbari” means “Compulsory Track” in Egyptian Arabic and is intended to reflect how society forces people to lead their lives in a particular way. Listen to some of their songs here. Massar Egbari will be sharing the main stage with Palestinian electro-dabke band 47SOUL, whose first concert closed Shubbak 2013. 47SOUL describe themselves as an “electro-mijwez, shamstep, choubi band”. Inspired by the celebrational dance and music of dabke, their music has strong electronic and urban influences as well as lyrics in a mixture of Arabic and English (if you enjoyed Badke, then you will love this!). But 47SOUL insist that there is more to their sound than the oft-stated ‘world music’ that globalised society often hails today and state that they are part of “a new generation of international electronic/hip hop acts that are reinventing the old for the future”. The evening’s set includes some of the most innovative audio-visual artists and DJs, including the first UK appearance of Hello Psychaleppo. 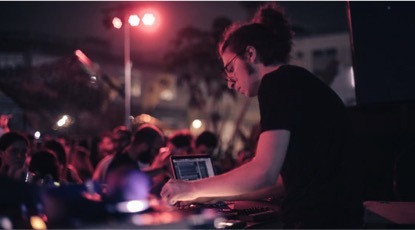 His fresh electronic music featuring classic Arab tunes and poetry is the perfect sound to dance away the night away to. To hear a sample of his music listen to his commissioned project for Shubbak Festival (Shahba) and check out our blog interview with him here. musical delights and discover Arab music like you’ve never experienced it before. The Mix will take place on Saturday 25 July 2015, 8pm at Rich Mix.